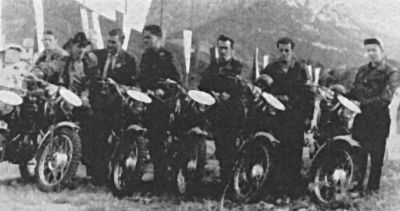 photo – Trophy winners Austria, from left Koeberl, Behrendt, Manager Scholgar, Leitner, Dornauer, Kleinschuster, Stulberger, one heck of an achievement. 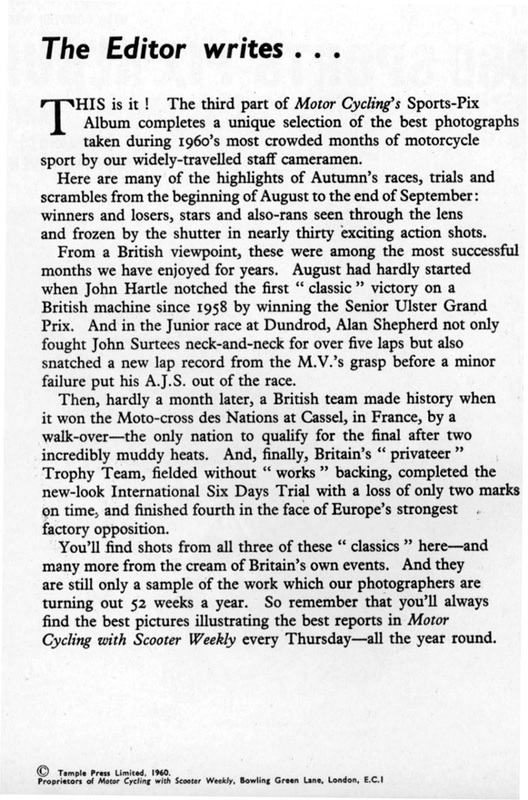 ‘Motor Cycling with Scooter Weekly‘ covered the event in its issues of 22 and 29th September 1960 with a feature article on the event written by Ken Heanes in the issue of 6 October 1960. We will be producing a feature on the event based on these issues and other magazines as we acquire access to copies. 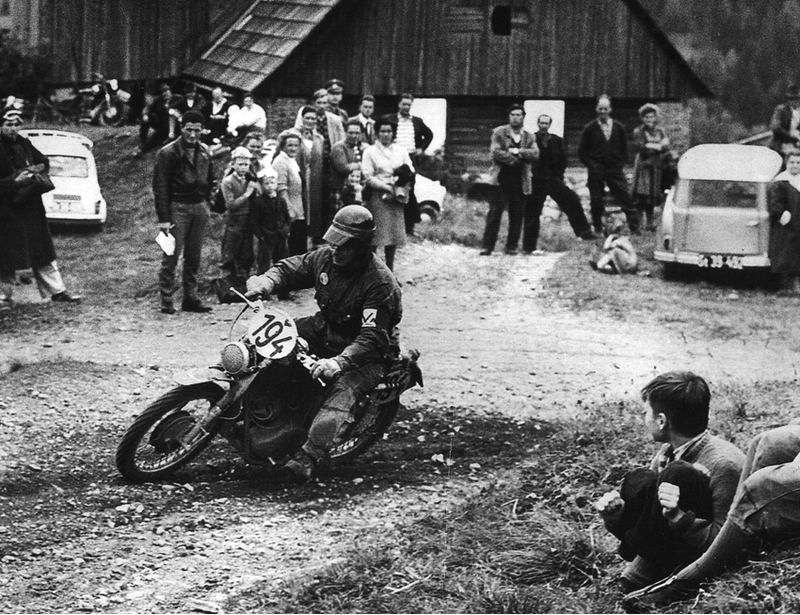 Photo – Soviet Union Rider #213 Vasev on a 250 Isch machine Day 1 ISDT 1960. 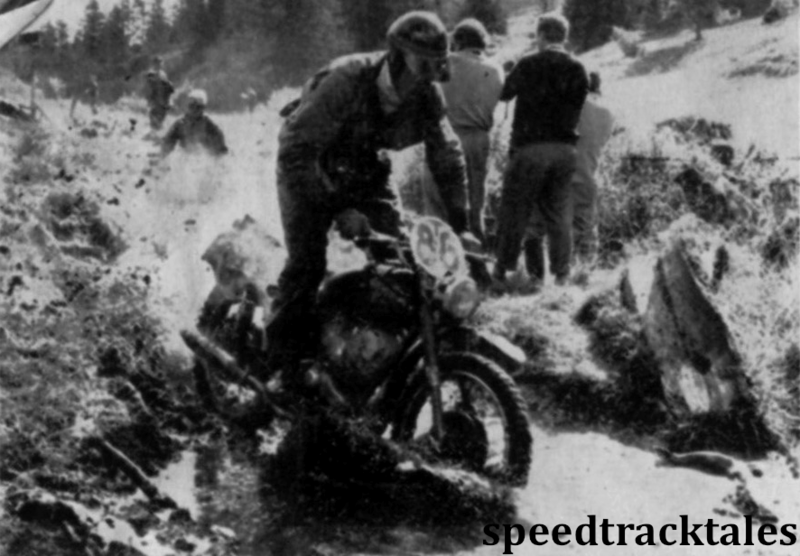 Photo – #215 Heuer DDR Silver Vase Team B MZ 250 Day 1 ISDT 1960. 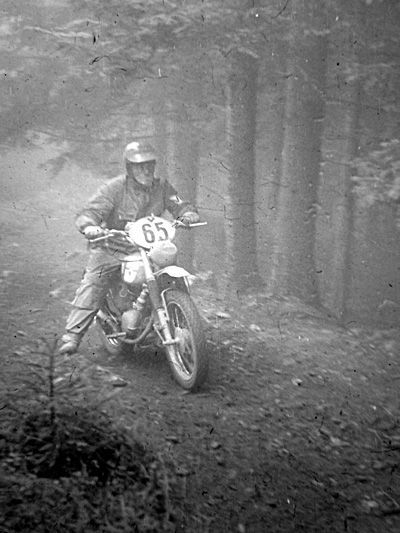 Photo – Oswald Dittricht GER Kreidler 50 Day 2 ISDT 1960. 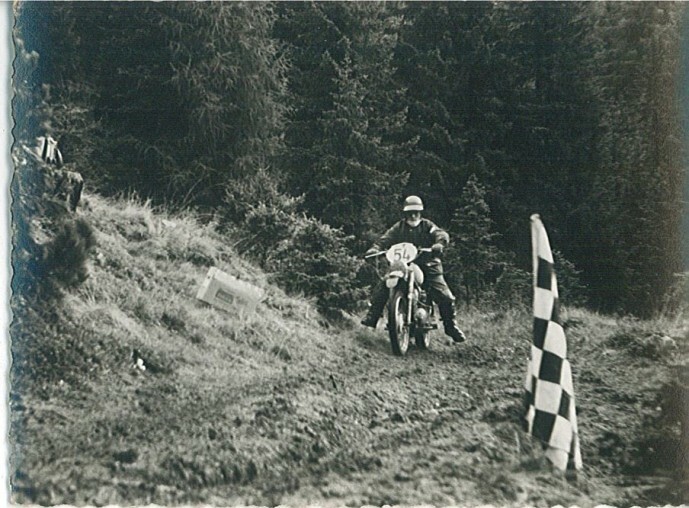 Photo of Switzerland’s Haller on a 50 Kreidler on day 2 ISDT 1960. Photo of Austrian Military Team rider. 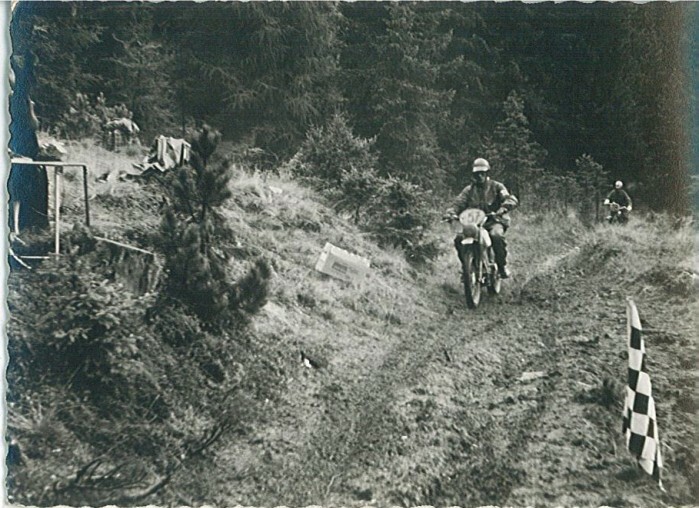 Photo of #25 Lorenz Mueller Germany on his Hercules 100 on day 2 ISDT 1960. 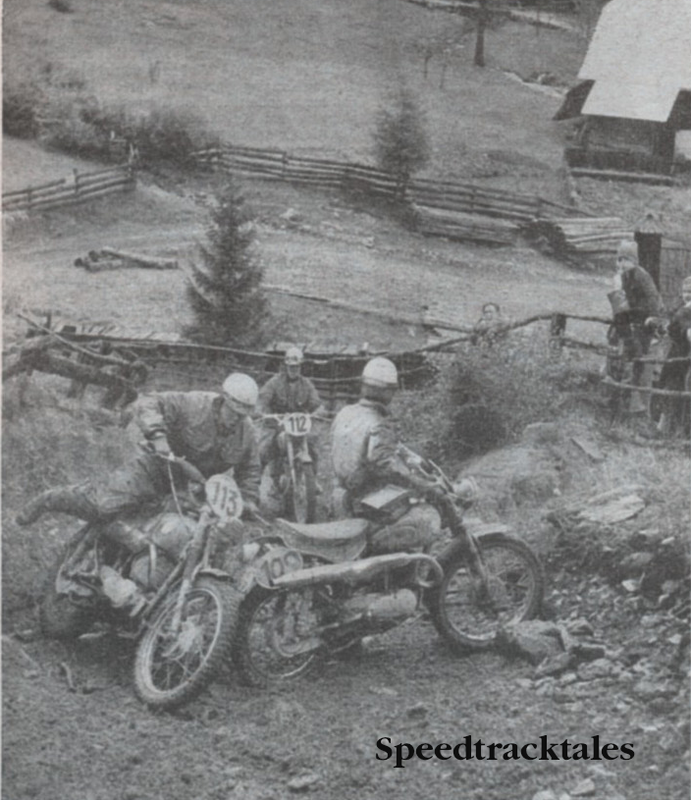 Photo of #206 Lorenz Specht GER Silver Vase ‘B’ with Zundapp 250 Day 2 ISDT 1960. 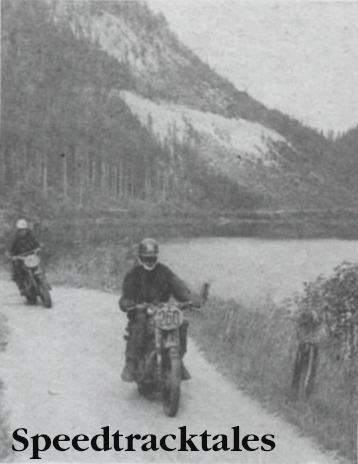 Photo of #207 Towell of GB on Ariel Arrow 250 2 Stroke Twin Day 2 ISDT 1960. 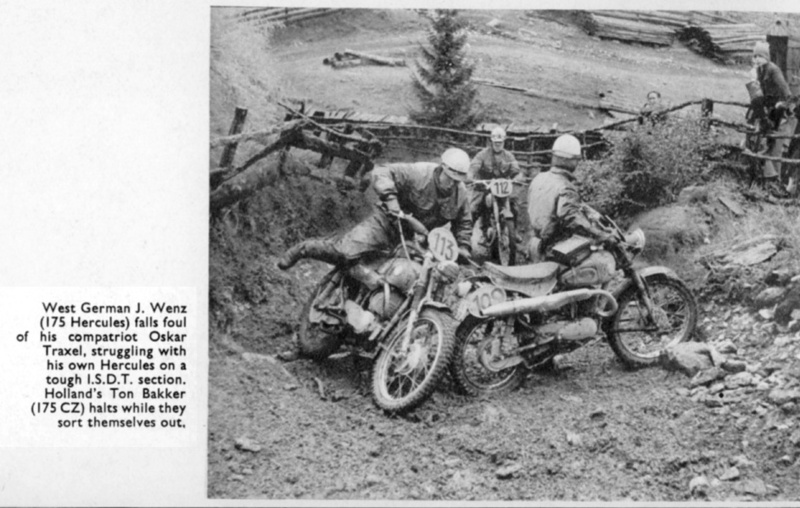 Photo of #251 Volker Von Zitzewitz of Germany Trophy Team on 227 Maico on Day 2 ISDT 1960. 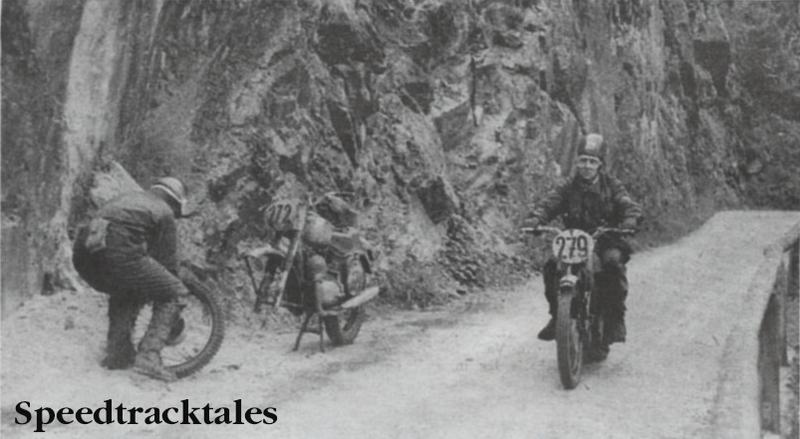 Photo of #156 Bock DDR Silver Vase A Team SIMSON 250 Day 2 ISDT 1960. 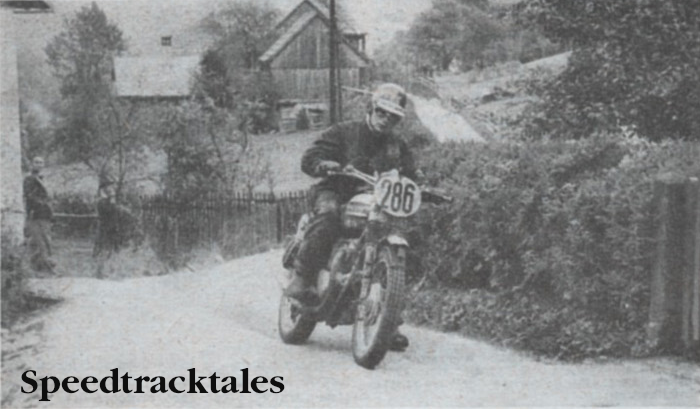 Photo of #45 Van Ommerman, Netherlands with a HONDA 125. Photo of A Steyr-Puch Haflinger 4 wheel drive machine!! 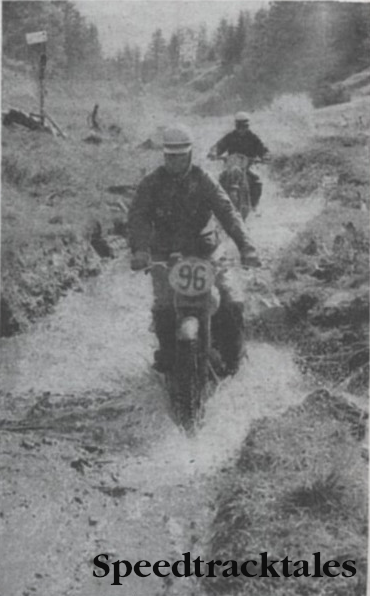 Photo of #257 Wilke, DDR Simson 350 Silver Vase Team Day 2 ISDT 1960. 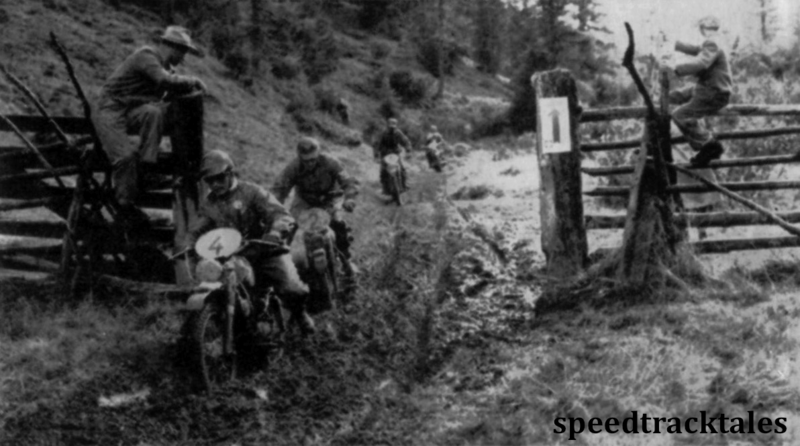 Photo of Behrendt Austria 250 Puch, Trophy Team ISDT 1960. Photo of #286 Brit. 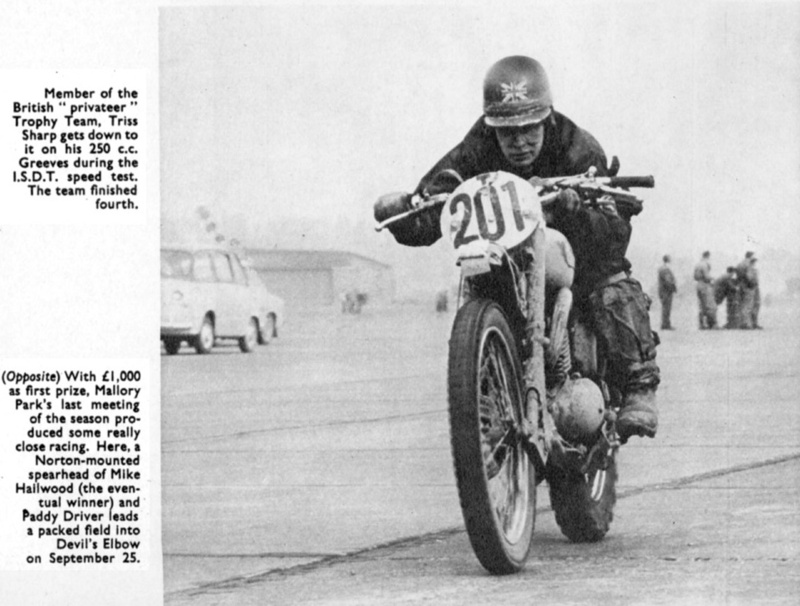 Ken Heanes on that 650 TR Triumph in the Trophy Team ISDT 1960. 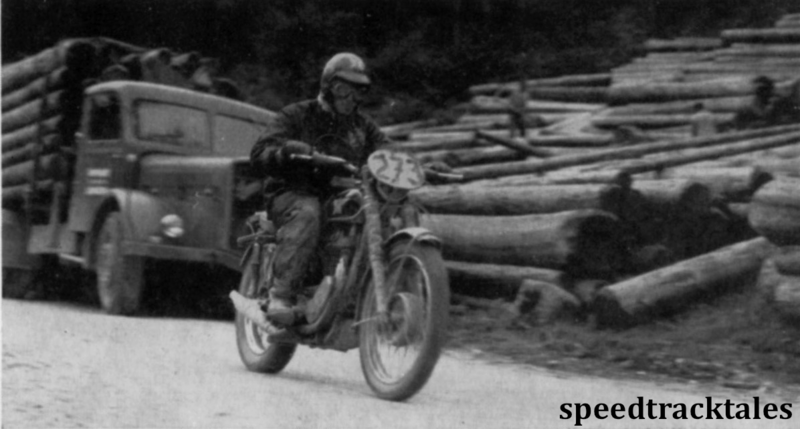 Photo of POLAND & their WFM OSA Scooter ISDT 1960. 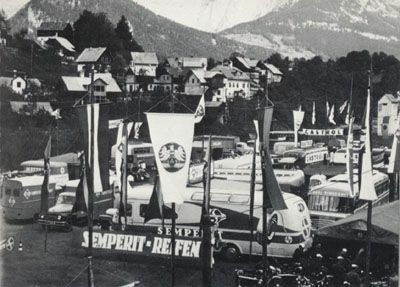 Photo of the long, tall, BMW Regular, #283 Sebastian Nachtmann GER Silver Vase B Team on Day 4 ISDT 1960. 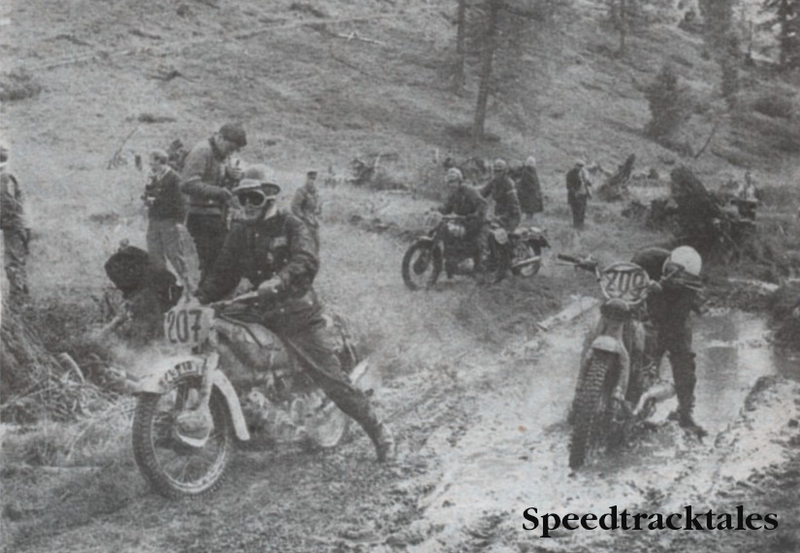 Photo of #92 Czechoslovak PUDIL Trophy Teamster on CZ175 day 4 ISDT 1960. 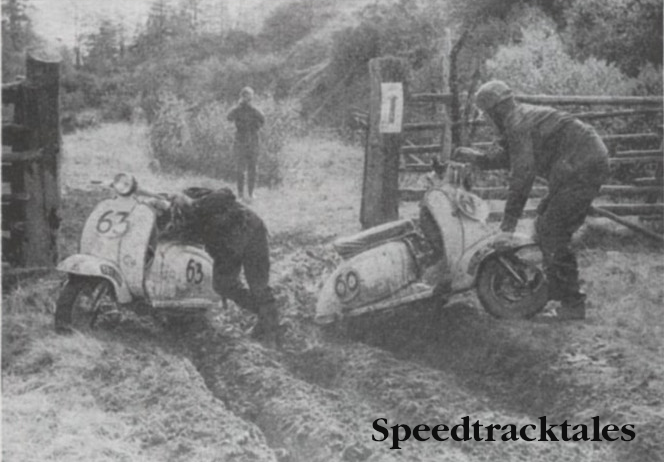 Photo of Britain’s #60 G King with 175 Lambretta still slogging it at day 4 stages. 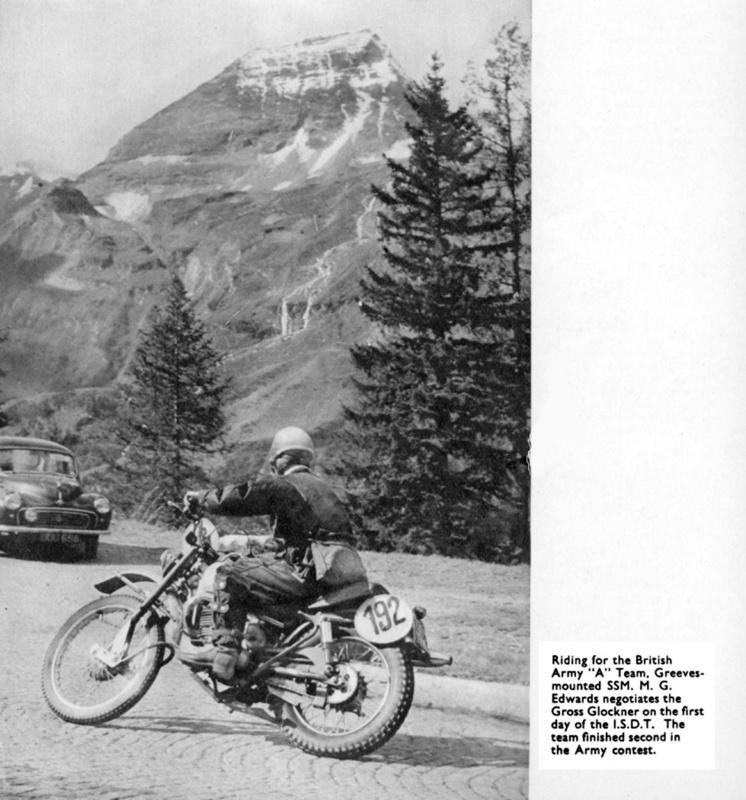 Photo of Britain’s #282 Chilton 650 Triumph appearing to be towed by bystanders up a climb on Day 4 ISDT 1960. 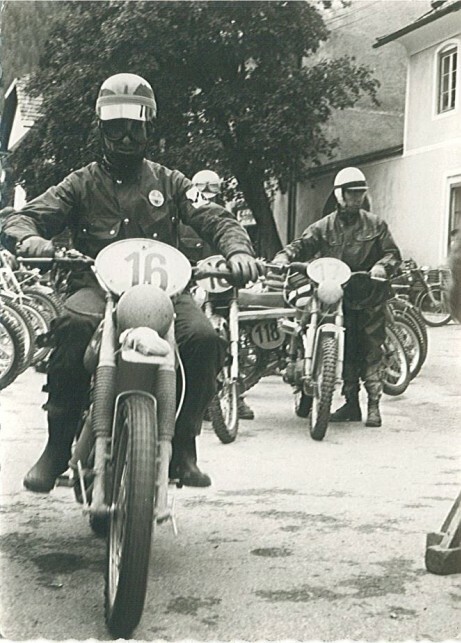 Photo of #65 Gorini of Italy on Day 5 , Silver Vase B Team 125 Gilera ISDT 1960. 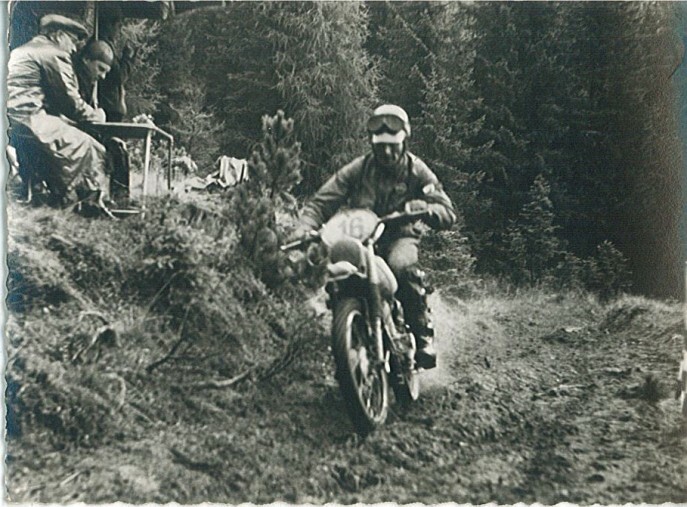 Photo of speed test stylist #283 Sebastian Nachtmann of the Silver Vase Team B on his 600 BMW ISDT 1960. 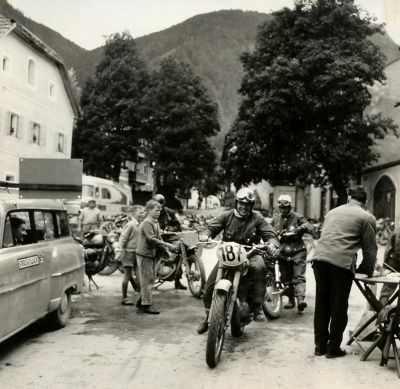 Photo of Bad Aussee Parc ferme ISDT 1960. 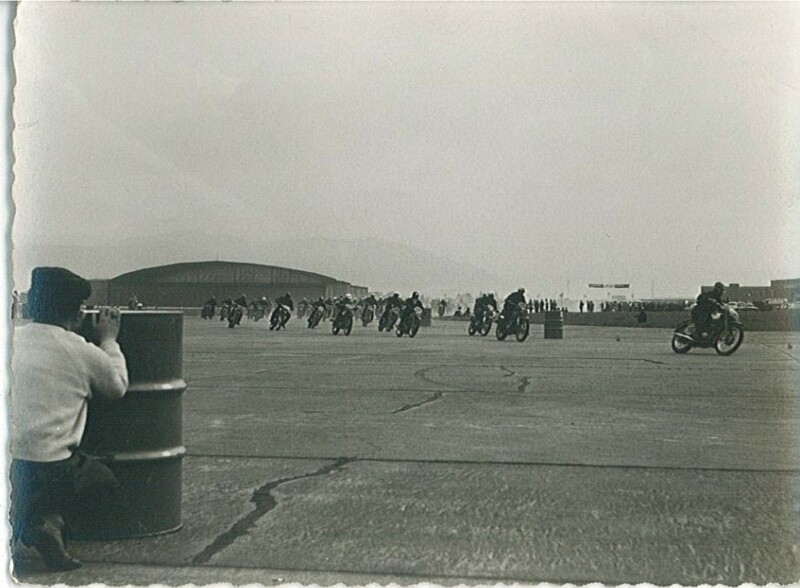 Photo of DDR’s #190 Frankenstein MZ 175 in Silver Vase Team, in Day 6 Speed Test. 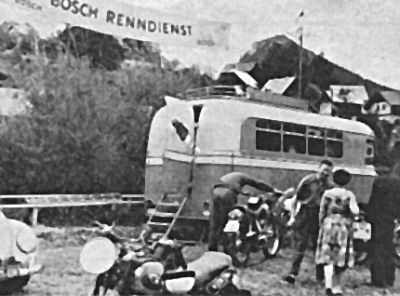 Photo of BOSCH Rendiennst! get your sparks fixed here!!! 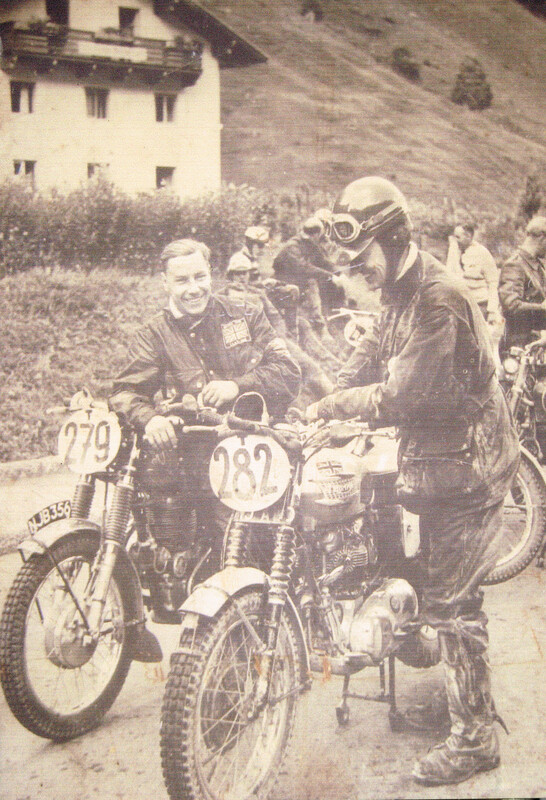 Photo of #273 Tim Gibbes, a great trier from ‘Down under’, variety of machines ridden & the best nursed out of them too ISDT 1960. 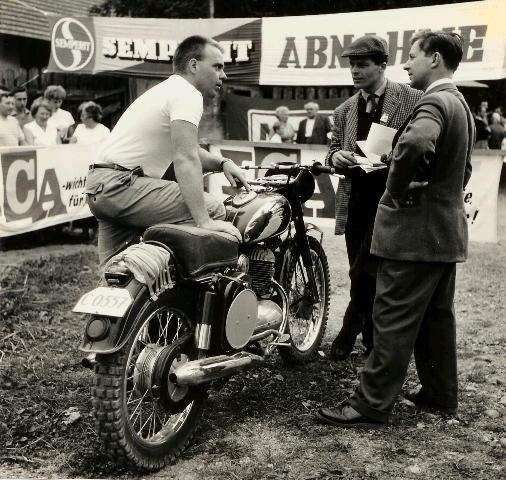 Photo of Gottfried Pohlan DDR Silver Vase B Team with his Simson ISDT 1960. 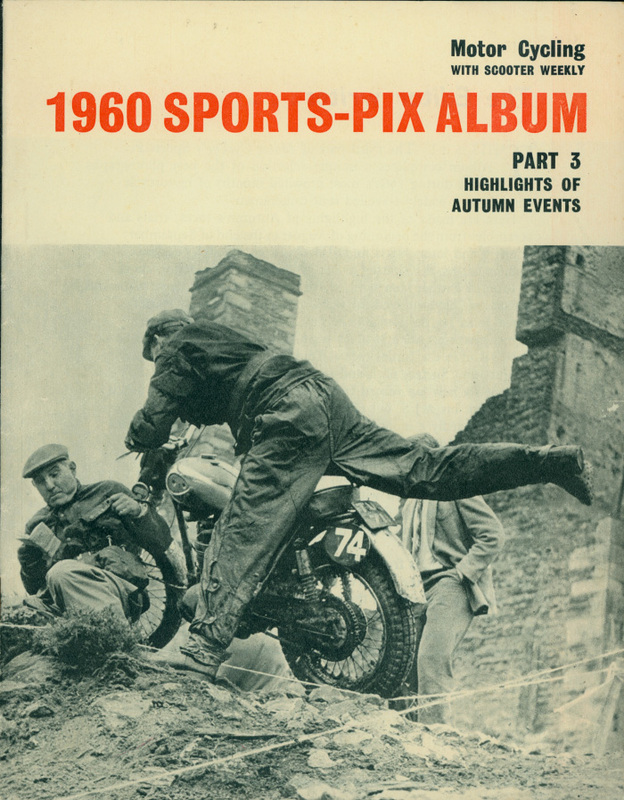 This scanned copy of a free supplement in Motor Cycling of the highlights of the Autumns events in 1960 was found on the VeloBanjoGent blog to who we are endebted for sharing it with the world. 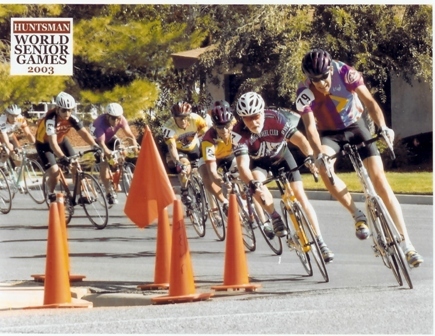 Tells us about what happened to any riders or bikes that were in this event since 1960. 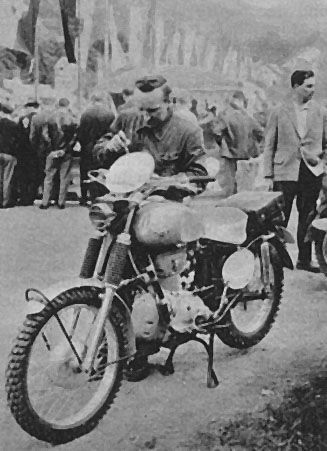 Walt was one of the first Americans to ride in the ISDT and despite support from the Jawa factory the bike seized on the first day and despite all of the eastern european sporting ingenuity they failed to get it restarted and Walt retired on the first day. He later became a well kown regional MX champion in the US and today can be found in Colorado racing veteran cycle racing where he is again king of the hill. A fuller biog of Walt can be found here. Hi, Colin Moram has just pointed out to me that he only got a Silver in the event. Not a Gold as stated under the photo of him and Eric Chilton above. Apparently he changed the plug on his AJS prior to his start time on Day 3 and the long reach plug bottomed in its hole in the central plug cylinder head and squashed the electrode in so no spark. I think he lost 2 marks as a result. 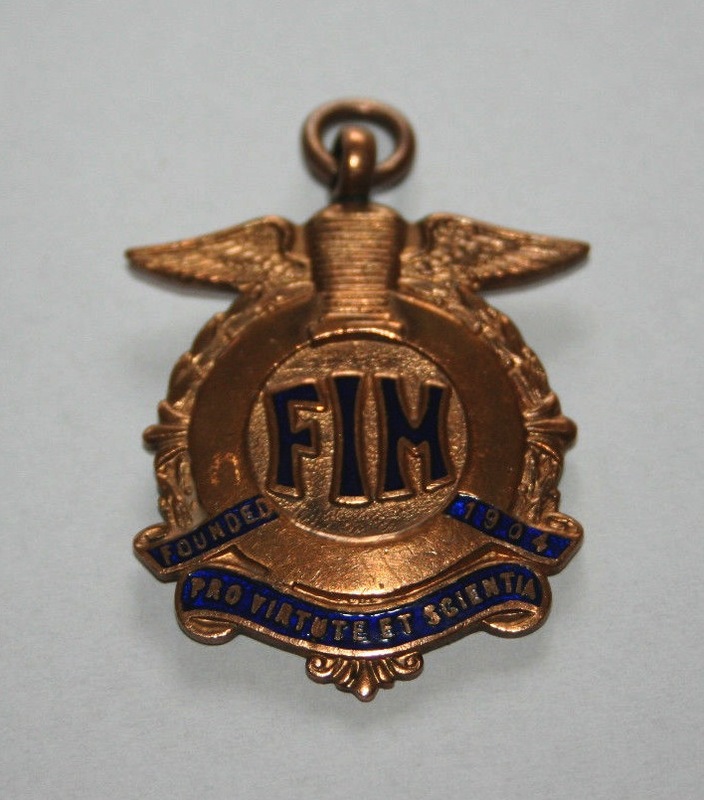 I have a badge which has a picture of a church on it, and the date 1960, the symbols FIM and OAMTC, and along the bottom it says ‘Internat6tagefahrt’. This appears to be relevant here? Would you like me to send you a photo? 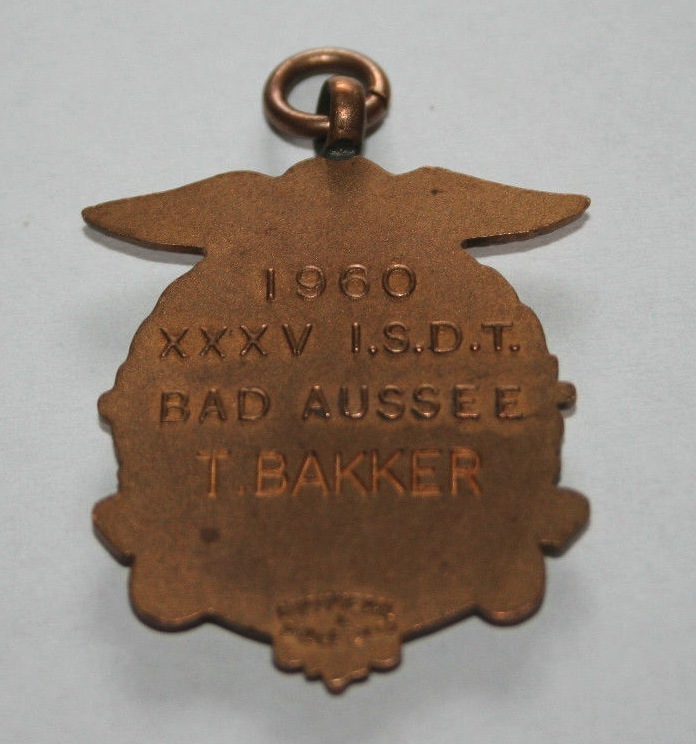 would love to see it , certainly sounds like a 1960 event souvenir broach. If you could send me your email address, happy to send you a photo. Thank you so much for this page! 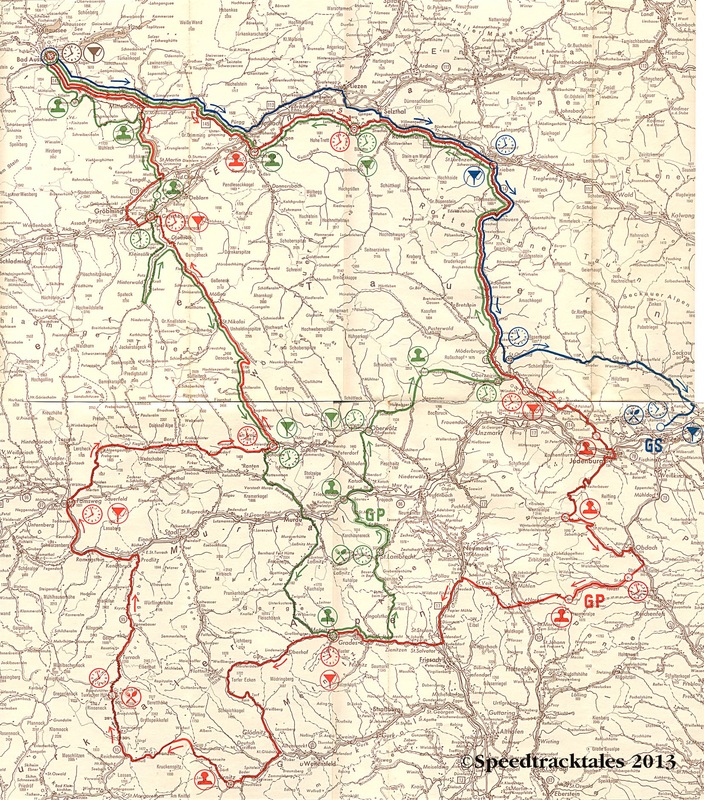 I have found information about my grandads military past which has been unknown to myself and other family members. 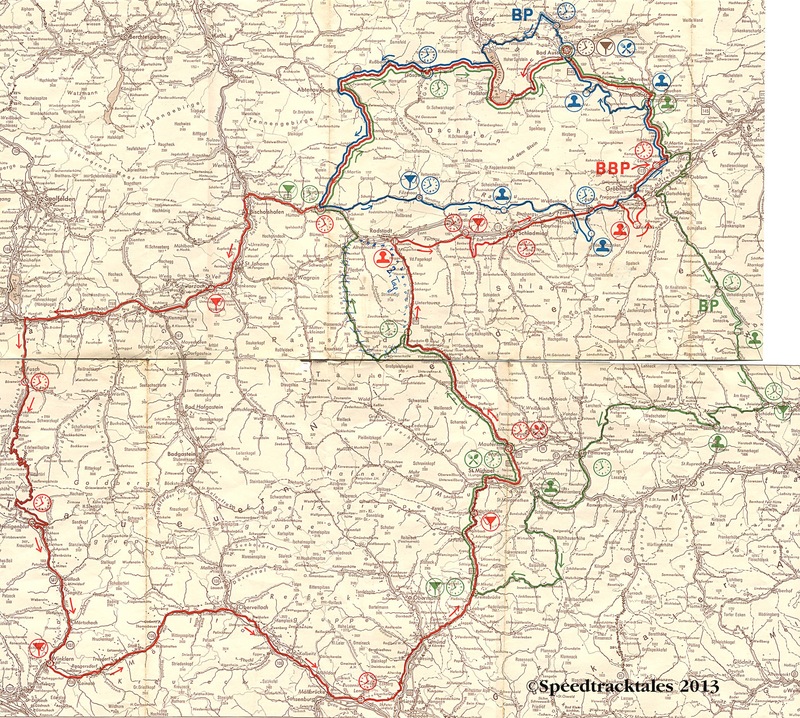 My grandads name was Mervyn George Edwards (Royal Signals, England). Sadly my grandad passed away in January 2000, amongst the family, we have inherited a number of motorcycling trophies/awards! If there is anybody who knew of him I would love to hear from you! If you have any photos of medals or trophies we can post here, they may help others involved in those events to pick up on your quest for information. I have several medals and badges from the Int. 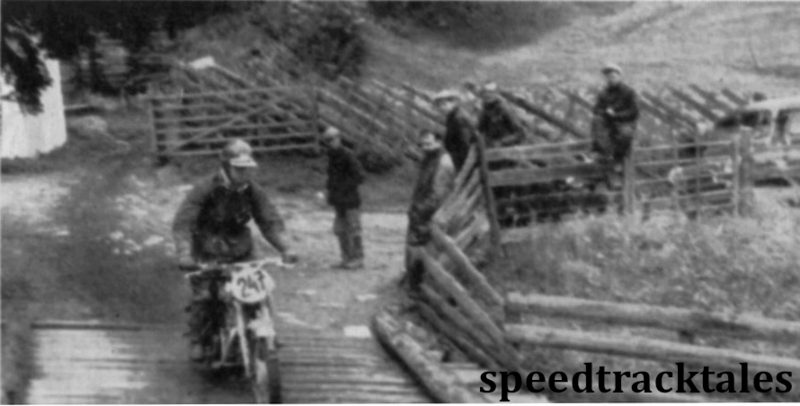 Sixdays Trial and pictures of them. Are you interested in them I will send you an email. 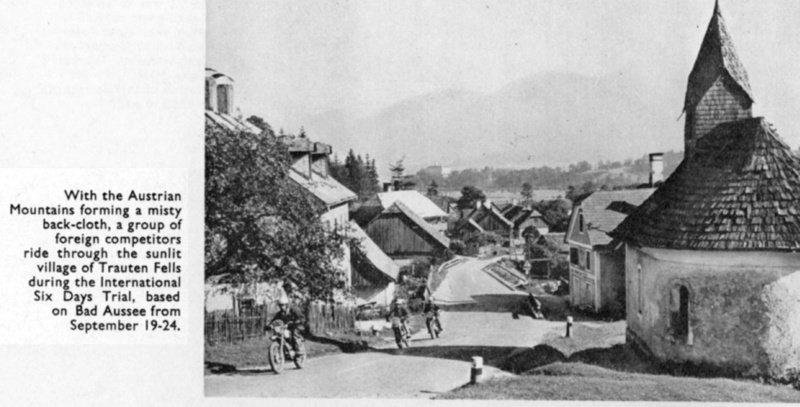 From Tim Gibbes – I rode this event at Bad Aussee which of course was a reflection on my heritage coming from Australia, so called “Bad Aussie”! I probably have photos of this event but can’t see where to upload photos. This particular year by memory the British Manufacturers so called “boycotted” the ISDT but did back door deals with their major retailers. My bike must have been sold to Comerfords Ltd., a big dealer in Thames Ditton, near London. Comerfords staff members Reg May & Jock ?? wish I could think of his name were big supporters. The bike got through the event well & won me another Gold Medal, so my thanks to my supporters again. Does anyone know the registration number of Triss Sharpe’s Greeves?